The firm of Emil Bartsch in Suhl was founded in 1892 and apparently while making all types of hunting guns, he specialized in making repeating sporting rifles and carbines that incorporated the Model 88 bolt action. The following advertisements appear to show a rifle with a 98 Mauser action. He was still listed as a gun maker in 1930 and as a gunsmith in 1939. An advertisement from the 1905 issue of the Marine Rundschau. An advertisement which appeared in the June 1909 issue of the Swiss periodical Diana. 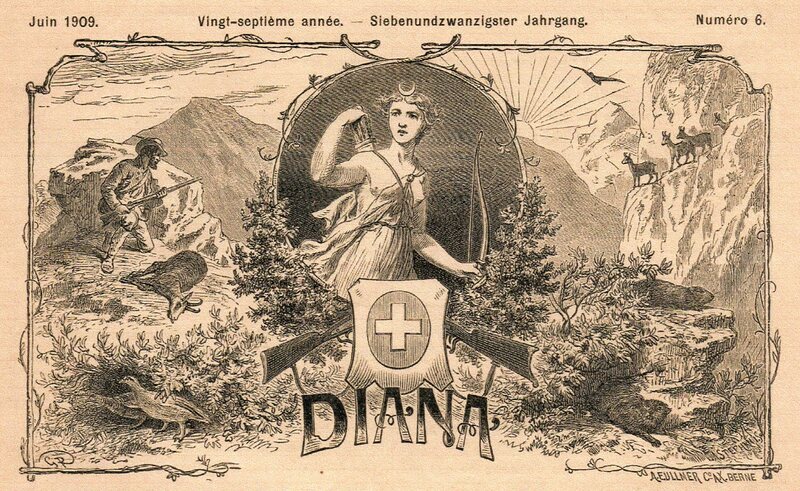 The masthead for the Swiss periodical Diana.